Read a few testimonials to learn how our clients feel. 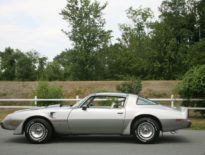 "I have to tell you thanks a lot for grandiose Corvette Anniversary 78!! This is incredible condition! Very rare car! Maybe, this is the best car which I have bought anytime!" Hi Ronda, just curious to learn how you pulled off the big surprise? Best wishes, ️ Doctor Ronda from Wisconsin. 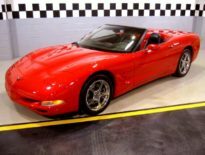 Early this year I was looking for a C5 corvette for import to Norway. Not knowing any dealers it could be a lottery. 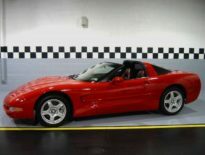 After searching and checking ,I made the contact with Jerry at Coffee's Corvettes about a red 98 convertible And I have to say: from the first contact and through the process, with payment, delivery to the port as schedueld, and not the least, when the car arrived in Norway ,it was better then described. Nearly a new 16 year old car. Jerry seems more like a friend then a car dealer. Wish to satisfy his customers. I will be buying from him again. Sorry that I have not wrote to you faster. It has been a busy time for me now taking care of the farm. 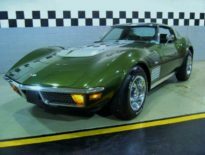 We picked the Corvette up in Drammen 12th of August and drove her home in rain. But I enjoyed my ride. I washed her and looked over her, and she is a real beauty. Everything looks like new. 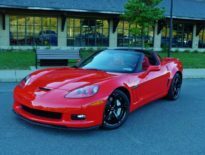 I`m very happy with my new Corvette. There is only one small thing. I think the tires are too noisy. Maybe other tires better than the run flats? What do you think about it. Do you have some tires to recommend? Now she is garaged with my Impala waiting for registration. 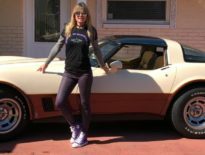 Here is a picture of the Corvette at home in Sweden this summer. 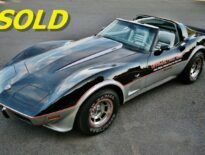 Best Regards, Guttorm from Sweden, a very satisfied Corvette Owner!!! 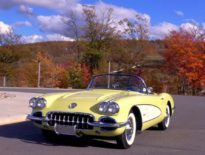 field of Chevrolet Corvettes, new and old. 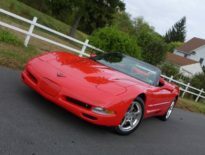 Corvette from Mr. Coffee and was very satisfied with the car, the price and the total experience. home (and we did drive one home). us at two different locations searching for our Corvette with no high pressure sales techniques used. as a pin, low mileage at a very reasonable price, as a matter of fact he meet our price. you purchase a car or not. Thanks Jerry. cars and his honest reputation. I am here to tell everyone this is 100% true! My experience with Jerry and his staff has been unsurpassed and I only wish more people and business were like him. 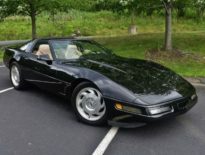 I recommend Jerry and Coffees Corvettes with the highest recommendation and Jerry, please feel free to have anyone contact me for a recommendation. I wish Coffees was closer to my home, so I could visit regularly as I feel that I have not only found a true, honest and valued dealer, but also a friend and if you meet Jerry, you'll feel the same way. I was getting gas today and had two people come up to me and ask if they could take pictures. I was more than happy to smile. I can't tell you what a great purchase this car was. Aside from the investment potential this is just a fabulous driving car. As I've told you before, I'm not a very "mechanical" or "hands on" type person. 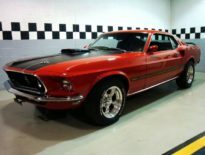 But everybody, and I really mean everybody, who has seen this car has made it a point to come up to me and tell me they have never seen a car as perfectly restored as my Mustang. Then I show them under the hood and they just fall apart. We had a great ride home Friday, no rain. Fuel pump is working great now that I watch for the switch. 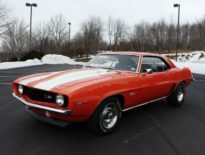 When the sun is out, I have been driving my '69 Camaro. Lots of waves, thumbs up, and jealous co workers. Want to thank you & Diane for a great buying experience. and I purchased from Jerry & Diane Coffee. and his team will tell you all the GOOD things about the car, as well as the BAD things. very knowledgeable about what they are looking for. original that he has seen in a long time, I thought it was a sales pitch. But Jerry didn't lie. The car still has lots of the original tag and parts still in place. looking to buy your next dream car. HAPPY MOTORING AND STAY SAFE!!! 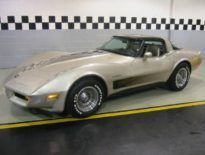 to anyone looking for a first class Corvette! 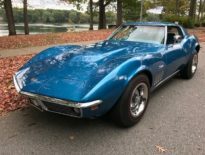 My wife and I purchased a 1969, 427 Stingray from Jerry and Diane. I must say, the experience was a great pleasure! 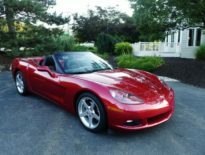 I have never purchased a car like this from an out of state dealer but I will certainly deal with Jerry and Diane again in the future. Their knowledge, professionalism, attitude, honesty, reliability and responsiveness was/is exemplary! Nice to see people like this still exist! I would certainly recommend them to anyone who is in the market. Ken & Lori from Colorado. Many years ago my parents always talked about how good the old days were. People smiled and said hello. Honesty and Integrity were the foundations of trust. Now as I am approaching age 60 I want to say that there is a company that definitely displays those old fashion values. 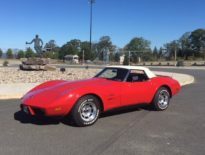 I was looking for a newer Corvette to replace my old 1971. 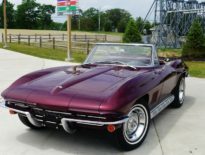 I ran across, on a web search, Coffees Corvettes. I contacted the owner Jerry Coffee and the rest is history. He worked with me, and accommodated me by returning calls, e-mails, and answering any questions I might have. I purchased the car sight unseen. Dealing with Jerry was like dealing with a family member. 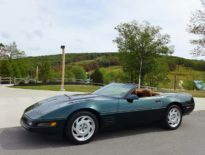 On the day my car was to be delivered he called me and said “the weather is kind of bad” I will ship it to you at no additional cost, in an enclosed transport” What can I say Coffees Corvettes has my business and he even said, should I decide to upgrade down the road, that he will buy my Vette back. You can’t ask for anything more. His business is OUTSTANDING. Thanks again for a great experience. You sure know how to treat your customers and I greatly appreciate it! 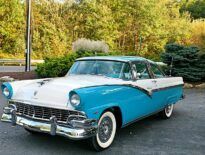 My wife and I absolutely love the car – we had so much fun this past Sunday, driving around town with the Sun on our heads and a huge smile on our face! Have a great spring and I hope we can keep in touch…. Car is now in the UK and I got my first look at her today. I’m extremely pleased with what I saw and the condition inside and out and underneath exceeded what I was expecting. Even covered in travel dust it looked as good as or even better than the photos. Counting down the days for registration now, approx 3 weeks. 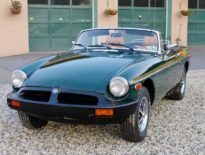 The MGB rode great on its trip to Berwick. It's going to be a great fun in the sun car! Thank you for everything. My friend and I both commented on how that was probably one of the lowest price cars you'll ever move off your lot. But, you treated me as well as any of your customers. Thank You! Hopefully I'll be back some day to ride off in a Corvette. Jill and I wanted to thank you and your wife for the fantastic car buying experience. 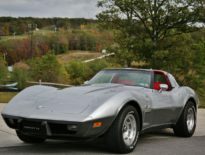 I have always wanted a corvette and you and your wife made it so easy for me to pull the trigger on the purchase. From the first time we met you both we felt like we were dealing with family and made our experience such a positive one. I also want to thank you for allowing me to keep my car on your showroom for 3 months while I was renovating my garage. I'm sure no one else would have allowed my to do that. 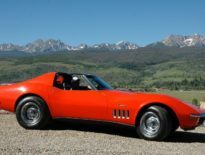 I know if I ever buy another corvette there is only one place I will be visiting, Coffee's Corvettes!!!! 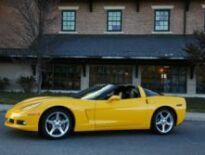 Jerry, I can't thank you enough for selling me my dream car and making the experience so positive I tell everyone there is only one place to buy a Corvette. If you are ever in our neighborhood please stop in and see my Corvette's new home. Thank you again and tell Diane we said hello. 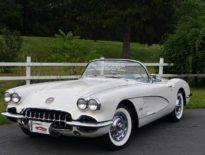 Hi Jerry & Diane, must take time to thank you for your kindness and professionalism for the way Pat & I were treated at your showroom/shop when we purchased our beautiful Ermine White/ Frost Blue 1960 Corvette. I had an issue with some old gas from not being driven, but she’s running good now, just the way she left the factory many years ago. We’ve gotten so many compliments and thumbs up driving around to shows and parades, even won some trophies this summer. 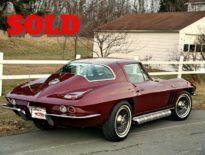 We were sad to let our ‘69 coupe go, but it was time for someone else to enjoy that amazing car. I'm sure Ken & Lori will enjoy her as much as we did. Once again we thank you for being so honest and sincere. Your whole staff was wonderful with us also. Happy Motoring!!! Thank you Jerry. I did run into some weather on the trip home, but I enjoyed the trip none the less. 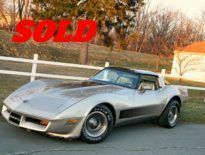 Thank you again for all your help with this purchase, and I truly enjoyed meeting you and your wife. 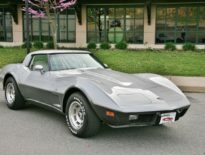 I will for sure send people your way if they are looking for a Corvette. It was a pleasure meeting both of you yesterday ! 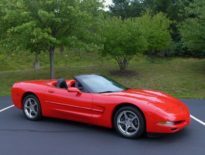 Your hospitality and time taken while making the decision to purchase the Corvette was one of the most pleasurable I’ve had in many years buying a car. 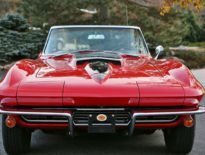 As a car guy I loved having the ability to get a close look at all the iconic vehicles in your collection as well as the conversation and history on each. Most importantly, the trust, confidence & fairness in negotiation that I felt were the deciding factors to move forward with buying the car. I look forward to building upon this relationship. Per our conversation Jerry, anytime you would like an additional pair of hands assisting you at local car shows, please call me. I would love to be part of that. I truly enjoyed the experience!